The first board of her keel landed on the dockyard with a loud thump. It was 107 years ago today, April 17, 1911. One year later, she sailed smoothly into Newport News, Virginia, harbor, christened the USS Texas, BB–35. She was commissioned and saw immediate action in World War I. The Texas made numerous voyages to the North Sea, serving the country and our State of Texas. 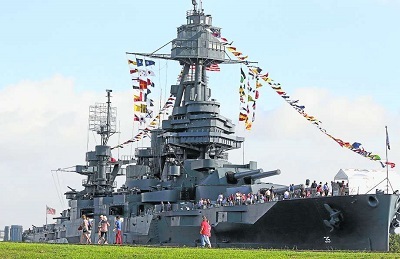 Upon formal entry into World War II, the battleship Texas escorted war convoys across the Atlantic, was the flagship on D-day, and saw action in the Pacific as well. She was decommissioned in 1948. Texas schoolchildren saved their nickels to bring the ship home to Texas. She is now moored in La Porte, Texas. But now after serving our great Nation, Texas is in danger of being scrapped for parts, a fate unfitting for the majestic ship that served our country. To prevent this, the State of Texas and Congress must band together and work to save the battleship Texas from sinking into the depths of history.